Trying to catch the rain…. This may start by sounding a bit egocentric, but sometimes I’m fascinated by the way my mind works! I mean the underlying subconscious thoughts we have, without any kind of input from our conscious self. Just now and again I catch myself doing something and I stop and think why? And then I realise the why and gently correct myself. I guess it’s a technique I picked up from my CBT course last year, not chastising myself for having thoughts that are unhelpful or incorrect, but gently addressing them and turning them round, hopefully learning as I go. Finally finished the to do list I started about two months ago, including sorting address changes, closing a couple of accounts and filing a tax return for last year. Huge sense of relief from sorting stuff, I suffer with anxiety and paperwork kicks it off, so I’m really proud of myself for doing this today! I shared this for two reasons, mainly because I do feel proud of achieving this, and also because I thought it might help someone else who has similar issues. I received some lovely responses, saying what an achievement it was, and that I’d done really well to tackle it. Then ‘it’ occurred to me. Why had I shared this in closed groups but not on my own timeline? Let’s be honest, we all like to share our achievements with our friends and family, it’s a lot of what Facebook is. So why not this? I realised almost as soon as I’d asked myself the question what the answer was – sharing this as an achievement meant sharing that I find something as simple as sorting paperwork a struggle. And for me that’s quite a big admission, a weakness if you will. I’m someone who had identified myself very closely with my work for a long time, and work meant budgets, spreadsheets, contracts, project management, business analysis, strategic planning and problem solving. How do I then turn round and admit my brain just doesn’t work in the same way anymore? Since my RA/Fibromyalgia symptoms started I’ve been increasingly suffering with ‘brain fog’ – a recognised term amongst those with chronic illness. 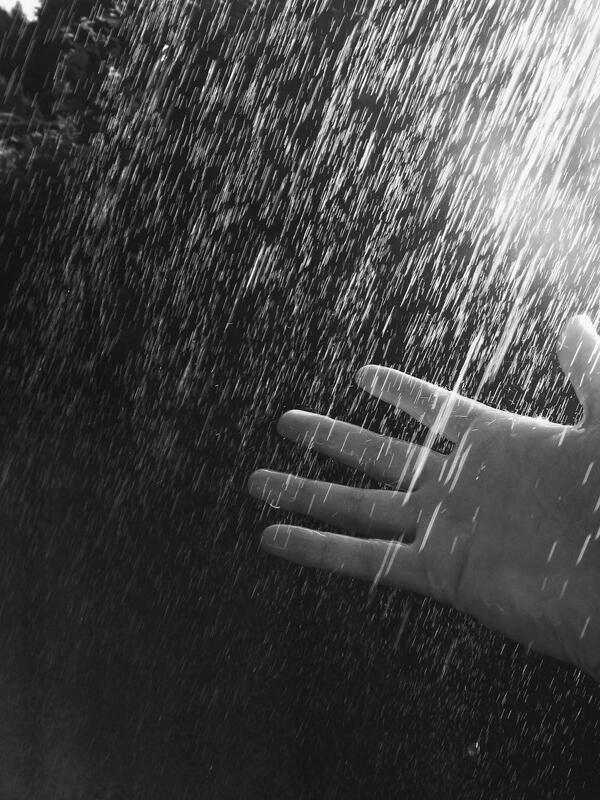 It’s like trying to catch a handful of rain, little drops make my grip but the rest eludes my grasp. Words dissappear from my mind at the precise second I want to speak them. Memory jumps, so I can lose track completely mid sentence. It makes trying to deal with anything that requires concentration difficult. And once it becomes difficult I become anxious. And the anxiety affects concentration. You can see where this leads…..!! Paperwork is bad, having to make phone calls related to it is nigh on impossible. So I procrastinate, I make lists, I shuffle them around. I move papers from one room to another. I sort them into order, then I sort them again. Anything but sit down and deal. And suddenly two or three months have slipped by and I’m annoyed with myself for not getting things done, but no closer to actually doing. What changed yesterday? In simple terms I had a less ‘foggy’ day, the fatigue wasn’t as heavy as usual, the pain was lower for a few hours. So I used the time, and I’m really glad I did. It’s like a weight has been lifted, I tend to turn the things I put off into mountains to climb, when in fact a couple of hours with a coffee and the laptop and I was slowly but surely caught up. So, going back to my starting point here, I have been kind to myself this morning. Yes I did well yesterday, and I should feel proud. And that means feeling proud ‘out here in the real world’, where if I’m honest no one who matters is going to think any less of me, and anyone who has suffered with brain fog &/or anxiety will understand completely. I get it. And yes, you deserve to be proud! Thank you fr yet another relatable post about living with R.A.